Best Vape To Quit Smoking: Our Top 5 (Easy) Vapes! A healthy good morning and welcome to all you brave tobacco smokers who’re finally doing the right thing and investigating your options for the best vape to quit smoking. I can’t tell you how much it means to me to be able to assist smokers in making the change. I’ve shared your experience of having just had enough of the health problems, fatigue, bad smell and endless issues that smoking can burden you with and I know how important is is that you start off your vaping journey on the right foot…finding only the best vape to quit smoking. I want to help you start off on a device that will provide you with an easy set up and draw, a full flavor and a big satisfying cloud of vapor that will prove to you from the get-go that this stuff knocks tobacco straight out of the ballpark, thank you very much. So here we go…let’s get this show on the road and find you the very Best Vape Pen To Quit Smoking! Juul has become incredibly popular as of late, and should be of no surprise that it’s considered as one of the best vape to quit smoking. This device has a rechargeable battery and lasts around 200 puffs per charge, equivalent to about one full pod. Included in the packaged, you do receive its proprietary charger. What makes this device ideal for the smoker is the pre-filled pods. This not only means that it’s a simple plug and play system, you also don’t have to worry about purchasing e-liquid. 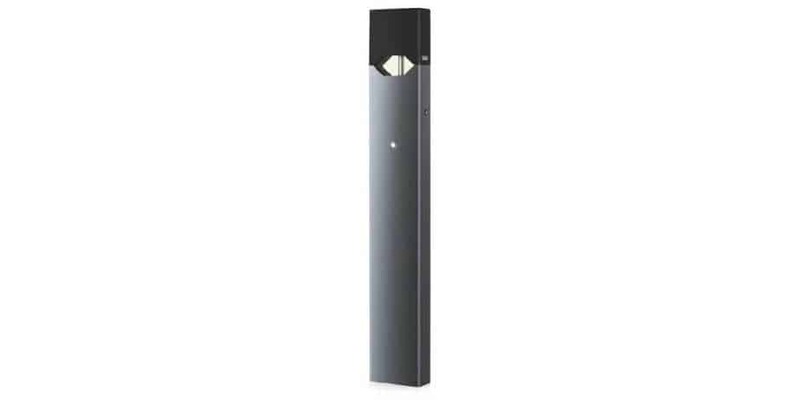 Not to mention, each Juul Flavor comes in 50mg nic strength, perfect for the smoker to quit. If you want to quit smoking, then the Juul is definitely worth picking up. You’ll experience the satisfying throat hit you desire. To learn more, check out our full Juul review. 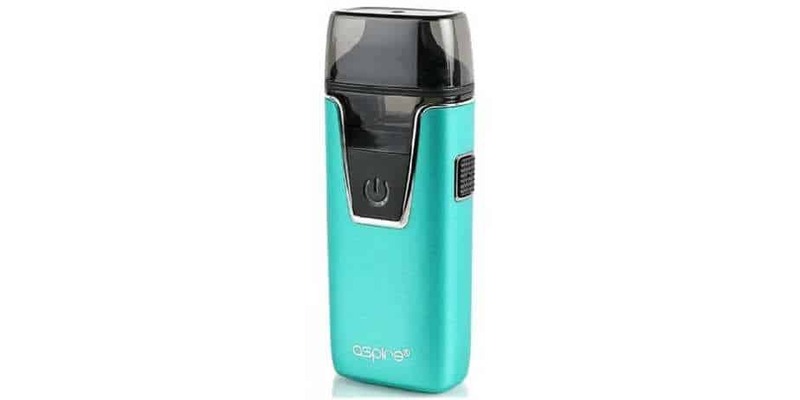 If you’re looking for the best vape to quit smoking, then the Lost Vape Orion Q Pod System should definitely be on your radar.. Firstly, this device has a maximum wattage output of 17w, which is perfect for salt nic or higher nicotine e-liquids. Next, it has an internal 950mAh battery, so it’ll last you all through your work day. Even if you need a charge, it can be quickly done via micro USB. Thirdly, this pod system features a 1.0 ohm resistance coil, which is ideal for the beginner. Lost Vape is a brand well known for their DNA Box Mods. 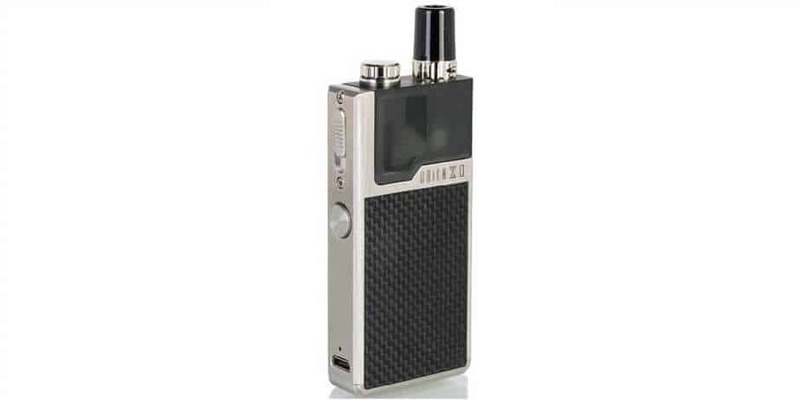 However, with their new Orion Quest, it’s a perfect option for the new vaper. It’s compact form factor makes it incredibly easy for you to store in your bag or pocket. In addition, it does have an LED battery indicator light, so you’ll know exactly when it needs to be charged. 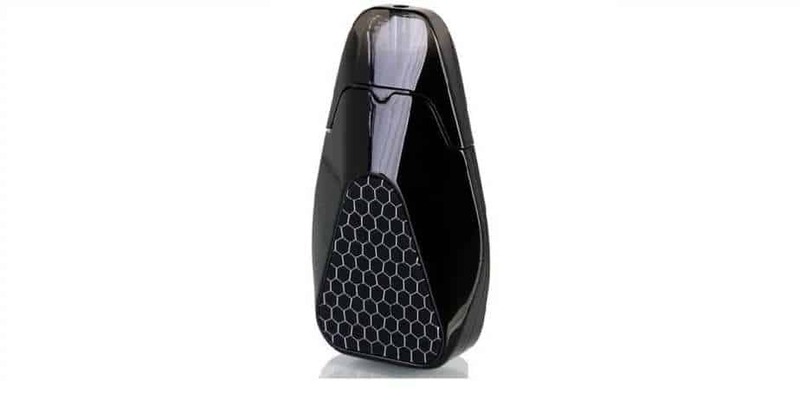 The included pod holds a maximum e-juice capacity of 2ml, and it may seem like much, but with its power output, you won’t be going through e-juice quickly. You can easily fill the pod using the threaded top fill design. 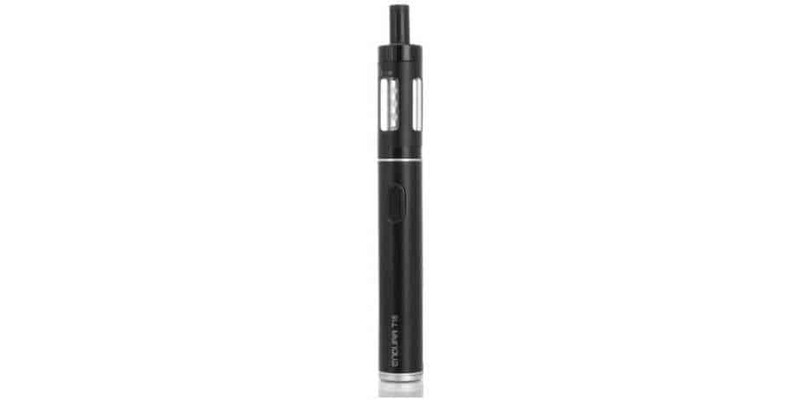 Overall, the Lost Vape Orion Q Pod System is a great device to help you quit smoking. It’s affordable, provides great flavor and vapor, and very easy to use. If that’s what you’re looking for, then definitely check out the Orion Quest by Lost Vape. If you prefer an ultra portable all in one device, then the Nautilus AIO by Aspire is an excellent choice. Included with this kit, you do receive one refillable pod, two replacement coil heads and the device. As expected since it’s an AIO, it features a 1,000mAh internal battery. Charging can be done with the included micro USB cable..
Also, it has a large 4.5ml capacity, so you’ll certainly get through an entire day of vaping without needing one refill. Aspire’s Nautilus AIO Device has a maximum wattage output of 12w. In addition, it has a restricted airflow, so it’s perfect for mouth to lung vaping. 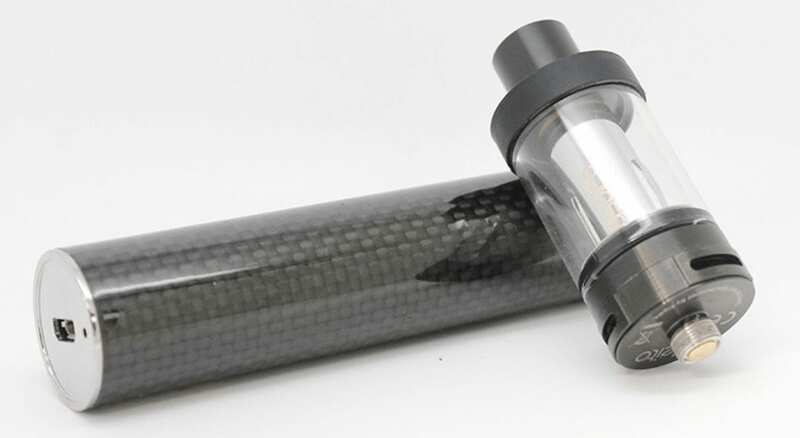 For the new vaper, it’s essential as this would mimic the same type of draw as a traditional cigarette. With its performance and simplicity, it’s easy to recommend the Aspire Nautilus AIO. It’s one of our personal favorites when it comes to mouth to lung vaping. If you’re looking for a device that can last you throughout the day without needing to fill or charge it, then this is it. Another great vape device to pick up if you want to make the switch to vaping is the unique Innokin DV Kit. It has a much different body design than most pods you see on the market. The standout feature of this vape is the PLEX3D Coil System which provides intense flavor. The Innokin DV Pod System utilizes a built in 500mAh battery, that can be charged using a micro USB cable. In addition, it includes 1 replacement pod that holds a maximum e-juice capacity of 2ml or 2.8ml. Filling can be done quickly by simply removing the silicone stopper at the bottom. All in all, this is yet another excellent choice for the smoker looking to quit. This device has 4 different power modes ranging from 12w - 15w, so if you’re in need of a more stronger vape, you can easily do so. Lastly, there are multiple safety features built in, making it a safe choice as well. Smok is another popular brand in the vaping industry. They specialize in starter kits, box mods and vape tanks aimed at both beginners and advanced vapers. Best of all, they’re budget friendly! 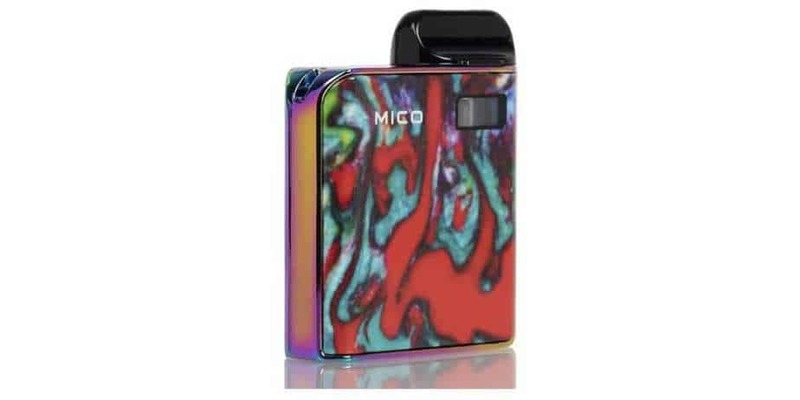 The Smok Mico is one of their latest pod vapes and sports an all in one design. It’s super small, and great for stealth vaping. Smok’s Mico features a built in 700mAh battery and holds about 1.7mls of e-juice. Like many products considered to be the best vape to quit smoking, it has a draw activated firing system. This means there’s no buttons to press, simply take a puff and you’re vaping! Now, this is a vape we recommend to the beginner looking for a bit more punch in a smaller form factor. This is exactly what the Mico provides, especially with the included mesh coil. The flavor is stellar, and has easily climbed as one of our favorite recommendations to the beginner. Why? It’s sleek, simplistic, stylish and comes in a bunch of exciting colors. The top fill system is extremely easy to use, as is the simple one button system. It’s also incredibly durable with that extra steel on the tank design and includes various safety features to protect you from yourself! I love the fact that it supports passthrough charge so that you can vape while charging. The Vape: 14W of power means you can count on a full and flavorsome, consistent vape. With such an easy draw and the full cloud this device produces, definitely makes the grade as as a candidate for the best vape for smokers. So that’s my top five list of the best vape for smokers. I’m an advocate of going big or going home and this list is designed for heavy smokers who need a little extra convincing. Check out our best vape pens to discover more powerful devices for great satisfaction and intense vapor sessions. As for the best vape juice to quit smoking - it’s personal but start yourself off with a tobacco flavor if you like tobacco’s taste and a fruity or menthol flavor if you don’t…aim for a slightly lower nicotine content than you’re used to and work the nicotine out slowly. You’ll find, to your surprise, that you’ll still feel like vaping even when you don’t vape nicotine. I wish you all the best on your journey into vaping: it’s worth it, it’s rewarding and it may just save your life! I bought a cheap vape pen hoping to quit and it just didn’t cut it for me. Same scenario, three years later here I am researching a vape that will actually help me quit smoking. I really appreciated reading your story and heartfelt suggestions. I plan to buy the vape at the top of your list, and feel confident reading your article (from one unhappy heavy smoker to another) I will be successful this time! I clicked on the check prices links and it just recycles me back to the first page with no prices apparent. If you are getting a commission (not a bad thing) for for these recommendations some folks may not be getting to the page to buy through your article. Anyhow, I did learn some stuff. I want a vape that can replace the feeling of smoking. I have tried a few pens like Blu and while it is ok when traveling or for a hotel room I never feel like it really replaces smoking. So I think Sub ohm (new to me) is the way to go? I hope- I spent a good deal of cash a few years ago trying to quit cigs but nothing worked because it doesn’t really feel the same (or similar) or provide a similar ‘benefit’ to smoking.